During the month of December 2017 we received many wonderful nominations for families and community gardens in need to receive a free Doc's Raised Garden Kit, complete with a BigYellowBag of Soil3. We closed the nominations in January 2018 and began contacting the winners to set up delivery. Browse the accepted nominations to be inspired by the community stewardship and neighborly love. "Taylorsville Community Garden is a great help to the community. They help families that cannot garden at home. They are in high demand and are in very short supply." "This is a low income Middle School located in a food desert in Greensboro, NC. They have the students grow vegetables and consume them. Educating the middle school students so they can grow and provide food for themselves also educates their parents and community. This is a top priority for them. The coolest part is the Special Needs class has been very successful growing vegetables!" "C. is 14 years and started gardens five years ago through Katie's Krops. He has worked hard through small odd jobs to continue growing his garden so he can give back to others. He donates all fresh vegetables and fruits to a local homeless shelter and to a food pantry as well. He gets up every morning at 6 AM to water his gardens and then comes home from school and works in them for an hour as well on the weekends. We've had two hurricanes in the last year and both have destroyed his gardens so he has started from scratch each time. He's a good kid and does well in school and I think he deserves a Doc’s Kit." 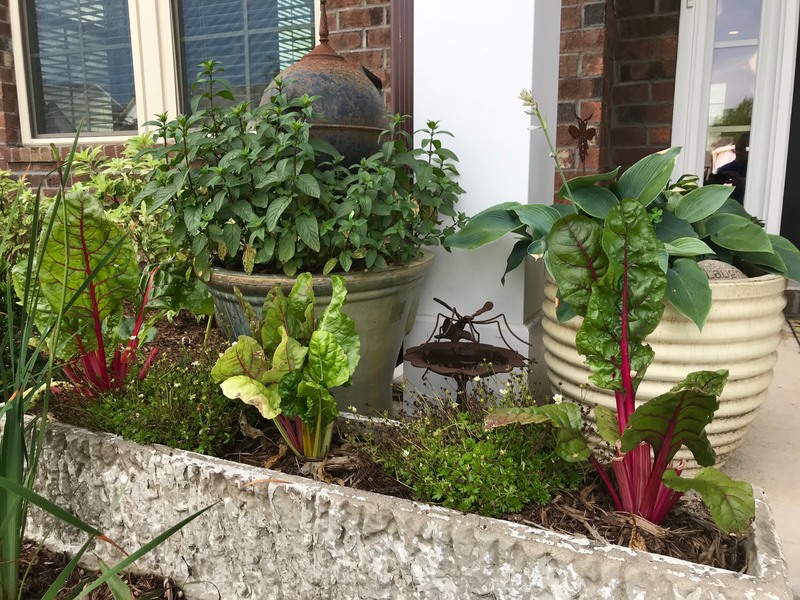 "The reason I am nominating my school to receive a raised bed garden is because they want students to be actively involved in growing their own food and making their own food with it. There is such an opportunity to help these students in making healthier choices for themselves, and I know that gardening is a way of helping them realize these healthier choices. In the pathway they are looking first of all to begin growing spinach for smoothies for students and the raised bed would definitely help them get started!" "I am nominating a PreK classroom at Sheridan Elementary School in Orangeburg. I feel it is very important for students to begin (early in life) learning where produce they see in the grocery store comes from. It is important for them to understand and respect the life of a farmer, and not take for granted how their food gets to their table. This garden kit will be used by students to begin their knowledge of planting. The teacher will be the facilitator, but the 4-year-olds will go on a journey from set up to harvesting and taking their produce home for dinner. This would also be the start of reading, writing, and science activities about farming." "They have been discussing doing a raised bed project with the children to provide a way to give back to the community. This learning tool would be beneficial to the 4th and 5th graders and go well with the curriculum they are learning." "This elderly widow lives alone in her rural house, supported only by a social security check. She tends vegetables that she grows in pots on her porch. She has no garden, and needs one that she can tend of manageable size. She would never be able to afford the raised garden bed. But without question, she would grow vegetables in it year round, make the most of the garden, and share any excess with neighbors. She is always kind, cheerful, and helps others, particularly when there is sickness, or debility. She sings in the choir at the little Baptist church down the road. She has no car, cannot drive, and has no email address or Internet service. She dries her clothes on the line, as she has no dryer. All her cooking is from scratch, and vegetables are a major ingredient. This raised garden kit would bring her joy and fresh vegetables handy by her door daily, and for those times when she cannot get to the store. Kindly consider this application with favor, for this worthy lady who is in need of a garden to grow food for her table, and to share." "Santee National Wildlife Refuge contains a pollinator garden with native flowers, shrubs, and trees. A raised bed garden would be used for raising annual plants that are larval hosts of butterflies and have flowers for the pollinators. The raised beds would be ideal for demonstration to the various school groups that tour the Refuge Visitor Center." "J. is taking care of his mom who is a 2 x cancer survivor. He feels good nutrition is very important to her well-being. Fresh vegetables and smoothies are made on the daily basis several times per day for her which is helping her to get well. 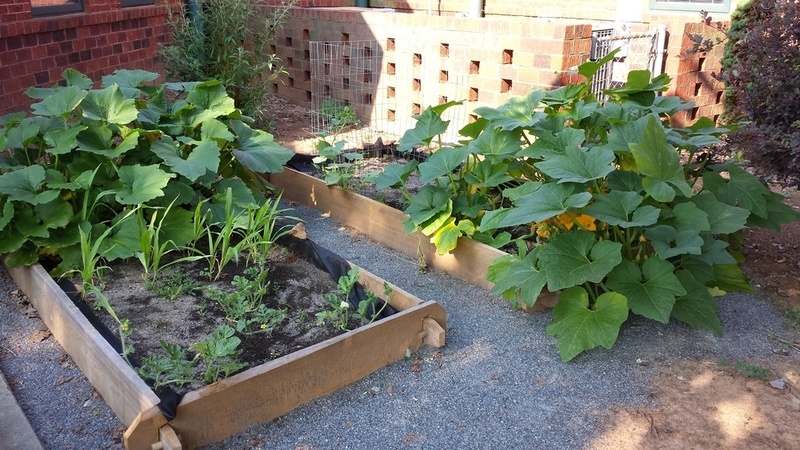 "The inner city school, Jessye Norman School for the Arts, has started a demonstration raised bed garden as part of its afterschool and summer programming to help children learn about good nutrition and ways to prepare fresh vegetables. They are trying to raise money for materials to make the raised beds and obtain soil." "Hannah House is Christian-based transitional housing for homeless women and children up to 6 months. Planting the seeds and watching them grow is what this mission provides. New life." 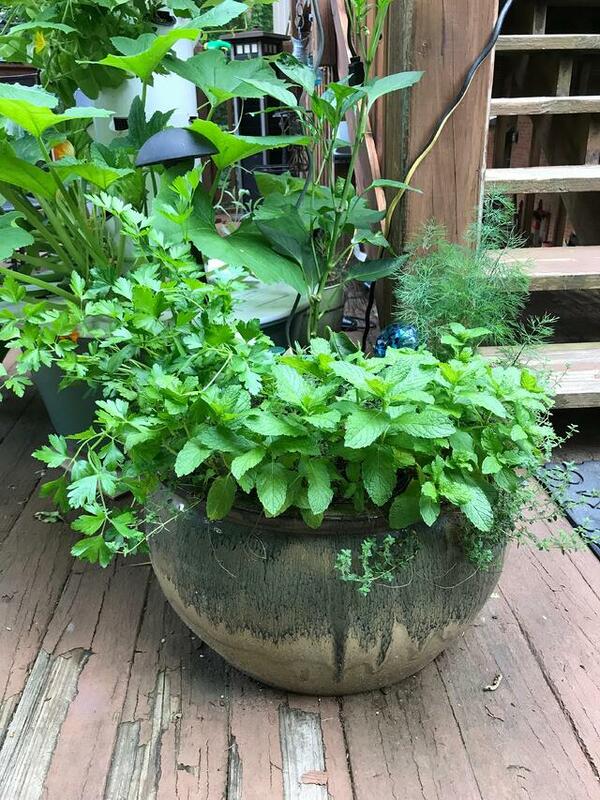 "Willow Place is a Women’s treatment center in Asheville and they have wanted to create a community garden to help teach women the value of nurturing something and watching it grow, how to grow their own food, and how to nourish their bodies and heal from addiction." "I would like to nominate the 6th grade students at Batesburg-Leesville Middle School, to receive this garden. The 6th grade SC standards include the life processes and structures of plants. This is a great way for students to apply their learning with the hands-on experiences of growing a garden." "Feed Fannin is a community garden in Fannin County GA that feeds the poor and provides education to children on healthy eating and sustainability through community outreach in schools. They sponsor a food pantry for the needy that supplies fresh fruits and vegetables to their clients. They also offer garden plots to community members who have no space to grow their own food. This is a very worthy group." "On Nov. 18, the barn that houses show pigs for these schools was destroyed by fire. These students lost the 55 pigs that were in there. Since then all the students have been given new pigs from different parts of the United States. The pigs are being kept at the agriculture center at the Georgia National Fairgrounds in Perry until they can rebuild the barn. Donations of money and supplies to rebuild have been given. I also attended both of these schools, so they are extra special to me! I just think a nice raised garden would make the new barn look extra nice!" "T. is a 37 y/o registered nurse who came down with uterine cancer about two years ago. She is a single mother of a teenage girl and in unable to work in her field because of the stress and hours intensive care nurses must work. So she is now working two different jobs out of nursing and continues to heal and hope for better times. I know she enjoyed helping me tend our little garden when she was younger and she has a small space for such a raised bed, if she is selected. In any event, keep her in your prayers, please." "A raised garden kit would be a perfect addition to Hafley Park, an amazing little teaching garden right in the heart of Perry, Georgia." "Ronald McDonald House of Durham and Wake Counties serves so many families in need. I think one of the Doc's Raised Garden Kits would be a great addition to their mission. It would be therapeutic for the guests staying there to help with or just see the garden's beauty. It could also serve to provide fresh vegetables and herbs to feed the guests as well." "Pleasant Hill community garden has already given more than 7000 lbs of naturally grown vegetables and fruits to seniors and physically challenged free of charge. It depends sole on contributions and help from youth in the city. They could use another raise bed so even more vegetables can be raised. The garden also provides a peaceful place to seniors." "The key function of the Bullington Gardens is to enhance life skills for children and adults with physical and/or mental challenges through horticultural therapy so that they may benefit from gardening activities to develop or recover learning skills, social and communication skills, memory and coordination skills, and an increased sense of pride and accomplishment. The therapy process uses a variety of gardening and plant-related activities as a means to heal and promote well-being. It is goal-oriented, adaptable, and validated by research to lower stress, increase physical function and decrease pain. Bullington Gardens has one full-time staff person, John Murphy, and dozens of volunteers who sustain and advance all of the garden's activities." "This all-volunteer garden donated 2400 lbs. to the Raleigh/Wake County Food Shuttle (pantries, kitchens) this year. They still have a little more ground which could be turned into raised beds." "I’m nominating Ms. Howe the principal of Webb Street School. Because of her passion in the building of the sensory room, interactive sensory learning area and the revitalization of the school’s greenhouses are major focus projects for her. Ms. Howe is very passionate about her greenhouse projects with the school and strives hard to enhance not only the gardens, but the children of her school’s knowledge. The students are doing an impressive job operating their new aquaponics system. This system is managed by special needs students who are gaining employment skills, and lettuce sales go to support the program. They were part of the program 5th Annual 100 Gardens Party! Please check her out on Facebook where she shares more details of her gardening success with her school." "Mr. Hess leads the agri-science program and FFA at Independence High School and he is always seeking ways to help the program grow. Our community is a mix between urban and rural - so there are a lot of students that come from farms, as well as students that live in apartment buildings that participate in the agri-science program. This would provide all of these students with continued opportunities to learn gardening culture and how it can improve their lives and the lives of their community. These students are learning valuable life skills, and this supports their development." "Y Almor is an individual working to better our community. He lives on a farm in Orangeburg, SC where he is raising sheep and chickens. His hope is to become a sustainable and kosher meat and organic farm...the first of its kind in SC. More importantly is that he drives into Columbia to work with the children of the Cutler Jewish Day School (a non-profit) and work with them on composting and gardening-growing their own snacks and items to use to cook with or run a farmer's market. (The values and learning opportunities afforded here are immense and children from ages 1 through 5th grade are included). Y's passion was found through film making and writing. Everything he does, as he furthers the process and his goals of turning this farm into a community resource and educating others, his love and commitment to educating children and donating his time back to our youth, is the key to what will make Y's goals a sustainable reality for our future. Thank you for the consideration for Y as a recipient of Doc's Kit. As you can see, it is truly a perfect fit and a wonderful starter for his and the school's sustainable gardening and composting Y plans to start with the children in the spring. Children are the future and the excitement of combining Y's farm and giving back is the tie that binds us all." "Rooted in Faith is a new mission of Hendersonville, NC First United Methodist Church. They have formed a unique partnership with Safelight, the local domestic violence shelter, and Bruce Drysdale Elementary School, the lowest income school in the county. Through this partnership they endeavor to build relationships, provide education and healing, and donate fresh organic produce to organizations that serve the food insecure in Henderson County. Rooted in Faith, being a new church based garden, is always looking for ways to grow and fund its mission. A raised garden kit would be the perfect addition to our school garden project for the children of Bruce Drysdale Elementary. Thank you very much for your consideration." "Veterans Landscape of the Carolinas will use this garden bed to teach veterans how to plant flowers, shrubs, and small trees in a manner to which will allow them to transplant their growth into a customer’s yard. The mission statement is to get Veterans and disabled Veterans back into the work force and providing for their families again. Teaching the veteran an honest way to earn money and the value of creating a vision with their hands." "Little Creek is a recreation center in Winston Salem. It is located in the back of a neighborhood that has many kids and families who would greatly benefit from a community garden. There are already have local volunteers who have pledged their time to help make a community garden successful in the park." "North Carolina State University’s SOUL Garden is the University’s first harvestable community garden. Students grow organic produce while nurturing and expanding their leadership, team building and work ethic skills. Led by 16 student interns who form six teams (communications, gardening, finance, infrastructure, design and marketing), SOUL Garden is helping students work towards their goals, increase their food security, build out-of-classroom (marketable) skills, and learn about organic gardening. The department I work for routinely supports the efforts of this garden and supports the students learning endeavors. They thrive on donor and volunteer efforts to keep this garden working - winning a Doc's Raised Garden Kit would help get an additional part of the garden up and running again in the spring." "I am nominating my younger brother (and his housemates) for the garden kit. Right now, he is in Duke Hospital undergoing experimental treatment for acute myeloid leukemia and hopes to get out later this week. This is his third go-round in the past two years and hopefully he will be in remission for a while. Something like this would give him a reason to get outside, to get some sunlight and fresh air and hopefully some homegrown vegetables at the same time." "Sanderson High School Special Needs classrooms teach kids with Autism and other special needs how to manage life on their own. Ms. M is the lead teacher for the program and coordinates these types of activities. Anyone in the community is able to pick from their garden. The students are able to stay in school until they reach the age of 21 and they are taught all sorts of life & home skills like cooking, gardening, laundry, and work skills that they can use in the community. A garden would provide them with food to cook as well as real job skills that they could use in garden centers, nurseries or farms." "I would like to nominate P and A. They are both disabled and have had a difficult time getting by with only disability to support them both and A’s 4 year-old son. I helped them with a place and property this past year and have planted several fruit trees. They are really wanting to do a garden as well to help supplement their food and this would be perfect." "N. and M. just got married this year. N. was widowed about 2 years ago... left with 3 children under the age of 2 (two are twins). M. gave up her employment to be able to stay home with the children, so finances are tight, as you can imagine. We give them firewood for their heat - but they would love to grow their own food. This past summer we gave them plants from our extras, as well as seeds, to help them out. N. had never gardened before, but has become so excited about it - and the kids are thrilled to see their food growing and then picking it to have for meals! N. spent all summer asking questions about gardening, learning a lot, as he always came to us to tell us what he was learning. 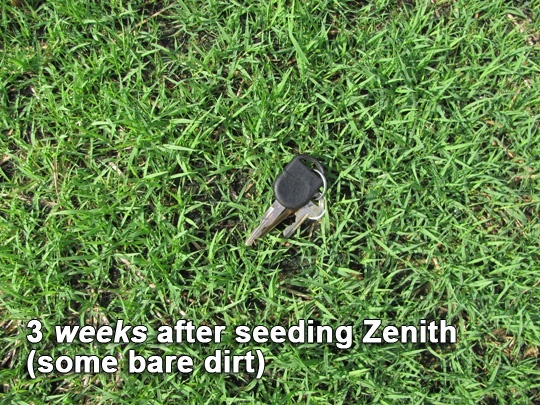 He tried gardening in a small patch outside his home office window, but the soil was really bad. He could truly benefit from a raised bed, as well as receiving some information on why good soil is important. We really would like to see his garden be successful so that their family can eat healthy - and be able to afford other groceries to supplement what they can grow at home. The best thing is, when the children witness this experience first hand and can be part of it, surely they will take gardening with them wherever they go to help themselves and their families when they are older and grown. It will be amazing to see the long-lasting effects that a "simple" offer of one raised bed and soil can make! We sure hope they win one of the kits!" "The Walton Wellness Community Garden Project has been coordinating a free farmer's market for low income citizens for the last seven years. Some of the produce given away is grown in a community garden at the county jail while the majority has been supplied from donations from a local Walmart Distribution Center. Two area churches have hosted the market, helping to coordinate volunteers, facilitate produce drop-off and pick-up, and providing cooking demos. In addition to these responsibilities, the churches are eager to grow veggies for the 2018 market as well. They are committed to getting as much fresh local produce into folks hands as possible. I am therefore nominating the Social Circle Baptist Church and Church at the Grove (through the Walton Wellness Garden Project) to receive Doc's Kits in honor of their ongoing support for the market and support their 2018 growing goals."  "This non-profit organization incorporates gardening for health and community benefit into a 3-tier educational system targeting economically disadvantaged boys aged 12-18 in Charlotte's toughest neighborhoods. It provides behavioral health, mentoring and life skills training necessary for manhood development. Gardening is a primary tool to teach community and civic involvement. This program results in the reduction of youth delinquency and gang involvement." "New Hope Prebyterian Church has used their grounds to grow food crops for the local food pantry at ABCCM in Asheville. Volunteers each work for a week in the garden weeding, watering, harvesting and delivering the fresh produce to the food bank. The food bank serves western North Carolina individuals and families that would otherwise go without." 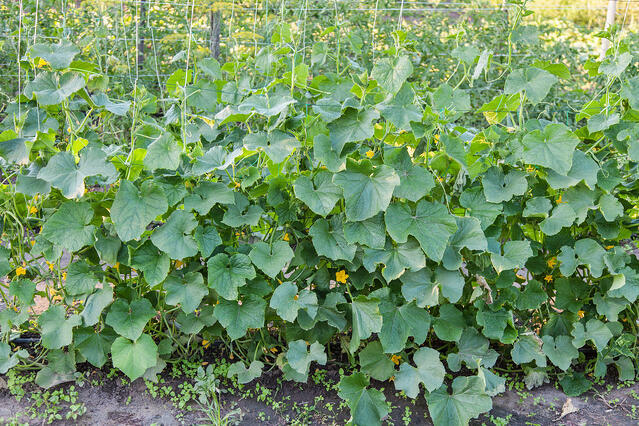 "There is currently increased interest at their school garden, but we do not have garden beds to accommodate all of the classrooms with interested teachers. To add a garden bed means that up to 25 students will get a hands-on experience planting, watering, weeding, and harvesting from that bed each year. They have sustainability planning in place to keep the garden actively producing for years after placement. The gardens are maintained over the summer by volunteers, providing for multi-season use. Summer harvested produce is utilized by custodial staff, summer office staff, and nearby families. They are a Title I school district, and many families would benefit from the gardening experience their students would receive at our school community garden." "The science teachers at Kiser Middle School are beginning a gardening club that will grow fresh vegetables for children at the school as well as to donate. They have hopes to have a community garden on our campus and this raised bed will help them begin their journey." "Lakewood is a community that is a food desert. Lakewood Preschool with the help of Blue Cross Blue Shield has started a community garden. They are helping families grow their own fresh foods. The garden is open to anyone that has a need. The seedlings are donated by Johnson C. Smith University and are free to the families." "Mariah has long been a champion of encouraging others to find peace and solace in the garden. She is a trusted assistant at the UNC Charlotte Greenhouse and Botanical Gardens. While she was a student, she also was President/Founder of the UNCC Community Garden Club. Now that she has graduated, her mission is to create a flower farm showcasing native plants that make NC unique, plus a wide variety of other flowers. She is having to source all of her funding by working part-time jobs and at the greenhouse, and plans on building several raised beds this winter in preparation for 2018. This kit would help her get started even faster, and it would go directly to a young entrepreneur who is looking to bring something unique to the Charlotte, NC area. I hope that you can see how important it is to support young, enthusiastic gardeners who are looking to preserve the art of horticulture." "The Ronald McDonald House of Charlotte is an amazing organization that provides a home for families with children that are hospitalized. I volunteer at Levine Children's Hospital with my Therapy Dog, Guinness, and we meet alot of these families. They are sad and stressed out. A community garden would provide so much hope for them. They are away from home and sick with worry and grief. It would get their minds off of things for just a little bit. Families could share in caring for the garden, share the yummy freshly grown vegetables at the dinner table and even bring freshly grown produce into the hospital to make the kids smile. Many families would benefit from this wonderful community garden that would keep on growing as new families continue to come and stay. Thank you for your consideration!" "I am nominating J. for a raised bed because of his commitment to community, family and gardening. He has been a staple and pillar to two community gardens in Mint Hill and now has dwindled to one. At 82 years young, he drives approximately 1 1/2 miles to his garden both summer and fall and continues to do so. Once harvested, he shares or swaps crops as he gives more than he receives. I would like to see him receive a beneficiary assistance in product to jump start his garden so that he can continue to not only share his harvested produce but to share his story as well. He started his first 22 years raised on a dairy farm in New Hampshire, served 35 years active duty in the Army, 7 enlisted, 28 as an officer and now as one of his hobbies continues his “green thumb “ experience by both still occasionally enrolling in classes at UNC-C and CPCC in horticulture to keep up with current information. 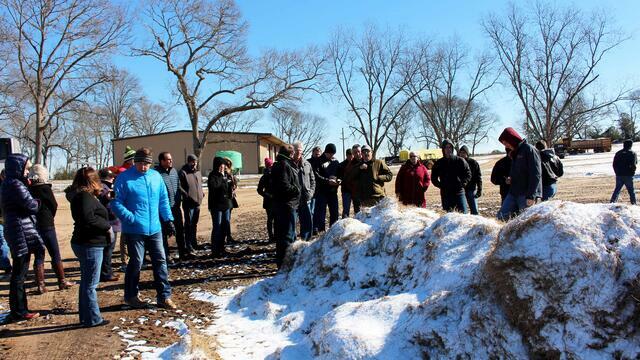 I think Super Sod and their knowledge and training of Soil3 could be a gift both intellectually and physically if chosen. Thank you for consideration." "She loves her yard, gardening, mowing, flowers all the outdoors. She has been through a lot in the last five years and has been unable to do her garden. I think this will help her enjoy doing one this year. Her health has gotten bad and now she is getting better. She lost her twins and just been depressed since then. I wish and pray you allow her to win this. I would love to see her face light up. Gardening is something she used to always do." "Tuxedo is a small rural community with a rich farming background. They have a very active home-school group that would like to build a community garden using the expertise of the retired citizens. They will use the community garden as a teaching tool and to feed their neighbors." "I would like to nominate my 81 year-old mother for this kit. She is very active in church and constantly providing for the homeless or other needy people. My mom does not drive but is able to get a taxi service to take her around because of her handicap. Mom is legally blind in one eye but is always trying to grow things in her little garden for helping others. She is a member of the following groups: Women's Christian Club, AARP Senior group that meets weekly, Stewardess Club VP at Church, weekly bible study group at her home. Also a member of 3 church choirs. She lives alone after my dad passed in 2010. This kit would mean so much to her in that she would be able to provide more." "S. has been like family to us. She loves gardening and since her husband has been battling cancer for the past 2 years, this is her only outlet to relieve stress. She has an amazing ability to grow and care for any plant. Everyone around her strives to better their yard because her's is so nice. I feel she would benefit so much from this and give her something to take her mind off the awful things they've had to endure." "Maysville is a rural, Title I elementary school with a newly established school garden. With the establishment of the school garden, they hope to create a community center for the students and their families to learn about gardening and proper nutrition. During the school day, they have made it a priority to integrate garden-based education into the curriculum. With additional resources like a raised garden bed, we hope to expand our school garden project so that they can create additional opportunities for every student to plant in the garden. With outside support, expanding the small school garden would not be possible." "This is garden at the high school has been revived this year after previously laying fallow for about 4 years. Since August, there have been a few different classes working in the garden in a three raised beds and some in-ground plots. The special education class is one of those classes and has been doing some garden-based learning. They love being out there whether they are working on math problems or directly in the soil. However, they don't have a designated space for their class to tend to their own piece of the garden like the other classes do. I would like for this raised bed to be their space so that the students can see the process of food growing from start to finish with more ownership over the process. If this nomination is approved, I think the students (and teachers) would be elated!!" 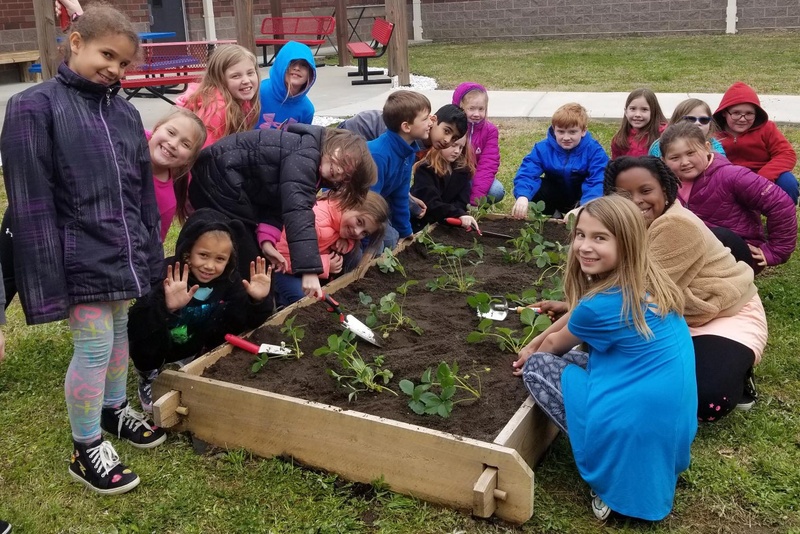 "I'd like to nominate Walker Park Elementary to receive a raised garden bed kit because they are currently teaching hands-on lessons about growing and preparing healthy food and are in need of more garden space to ensure that all students have access to this educational opportunity." "Plot Luck is the senior citizens community garden located in Bond Park behind Cary Senior Center. For many years, they have maintained a Row For Hunger and have donated many pounds of produce to agencies which distribute food to needy people." "I would like to nominate the very newly formed CLC Community Garden Program - they are still preparing the empty lot next to the church... they have had to bring in 75 truckloads of fill to level off the area they want to place all of the above ground garden beds. They hope to begin building out the garden beds this coming January, just in time for the spring planting. The mission of the CLC Community Garden is to give away at least 75% of the food grown back to needy families and other community care organizations (food pantries, shelters, soup kitchens, etc.). The church donated the use of this land for this cause, however monies to build the beds and fill them with fertile soil is not budgeted for... They have raised a bit of money by leasing."